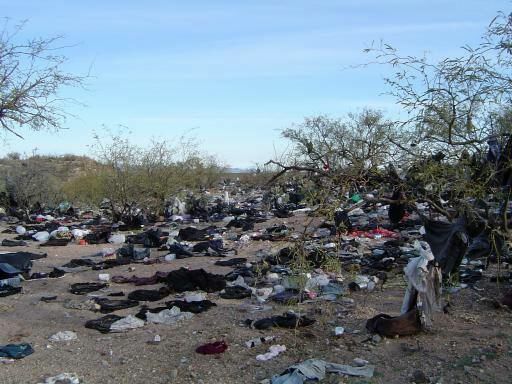 How would you like to be living in a state held hostage by Political Correctness. 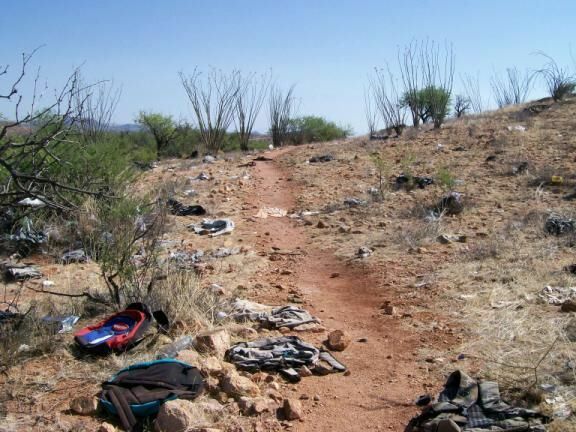 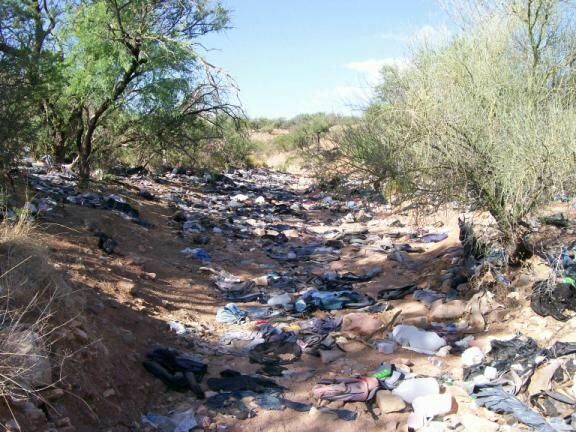 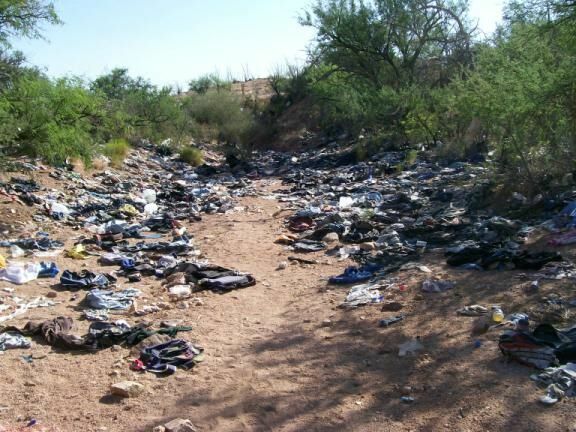 If these actions had been done in one of our Northwest Forests or Seashore National Parks areas, there would be an uprising of the American people.....but this is the Arizona-Mexican border. 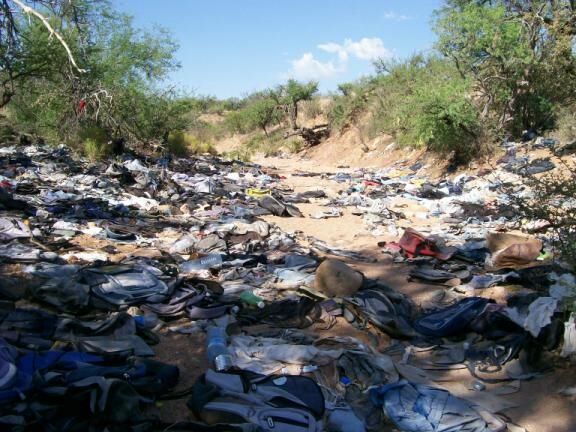 You won't see these pictures on CNN, ABC, NBC or the Arizona Republic Repugnant newspaper. 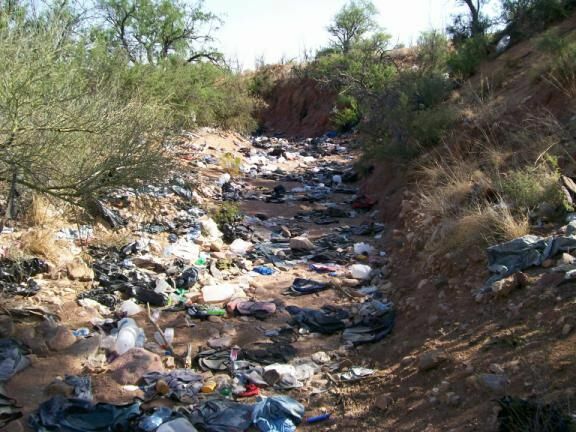 Nor will they mention the disease that comes from the uncovered human waste left in our desert.